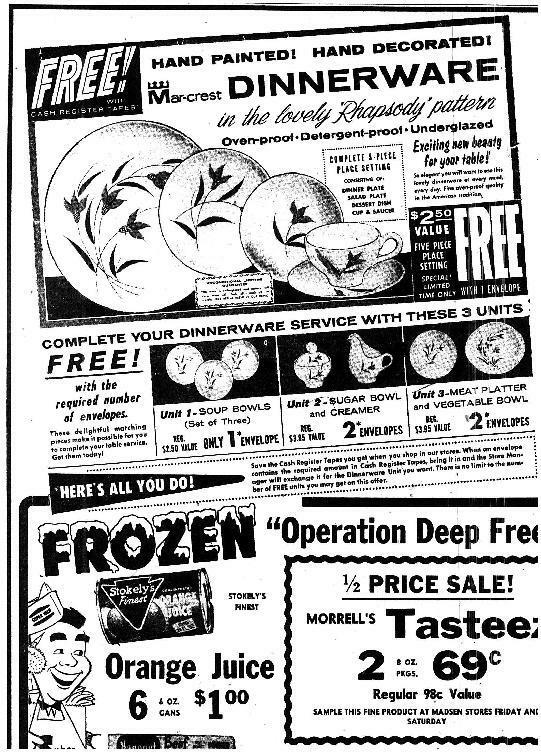 Kroger ads from 1963 donated by Eric Anderson of Midland, MI. 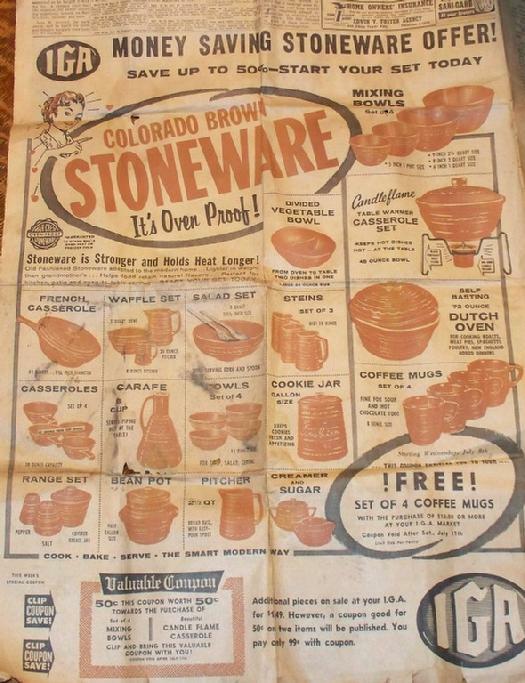 Old newspaper ad dated July 8, 1959 for Mar-crest Colorado Brown Stoneware available at the IGA. 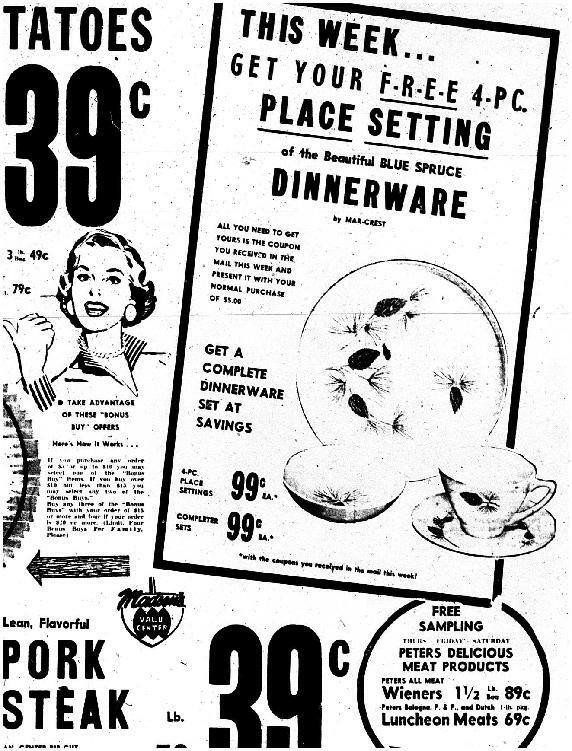 Laurie states that another ad in the same paper is for chuck roast at 39� a pound. The next 2 pictures are Mar-crest ads at Loblaw's grocery store. Pictures were kindly donated by Laurie, eBay seller auctionnut14612. In a picture (not shown) of an identical ad as the second one below, the only difference was the name of the store. The name of it was Jewel Food Stores. 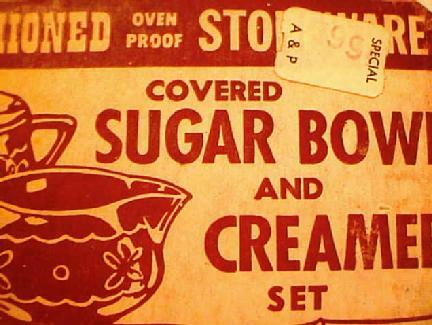 A&P price sticker on original Mar-crest box. Photo courtesy Mike, eBay's FederalHillAntiques. 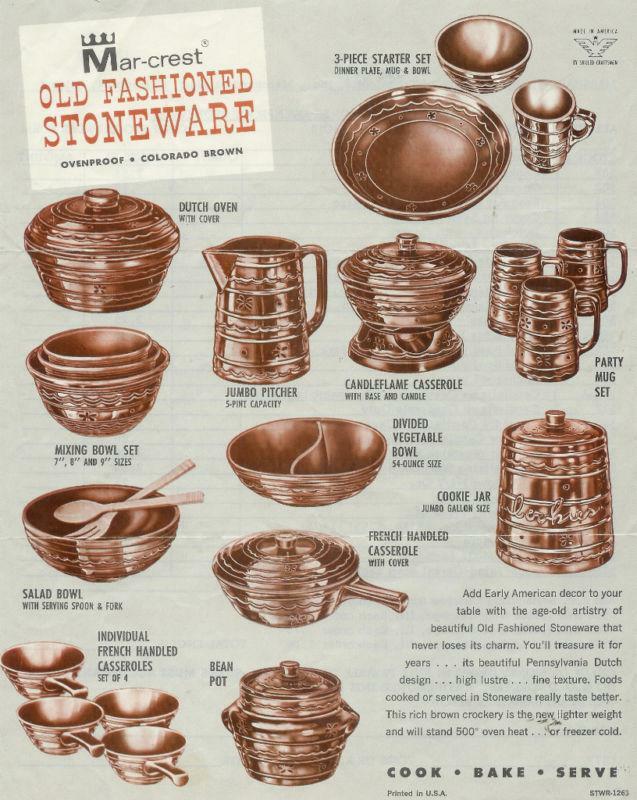 Not daisy and dot, but a couple of old ads for Mar-crest Rhapsody dinnerware and also Blue Spruce dinnerware, below.